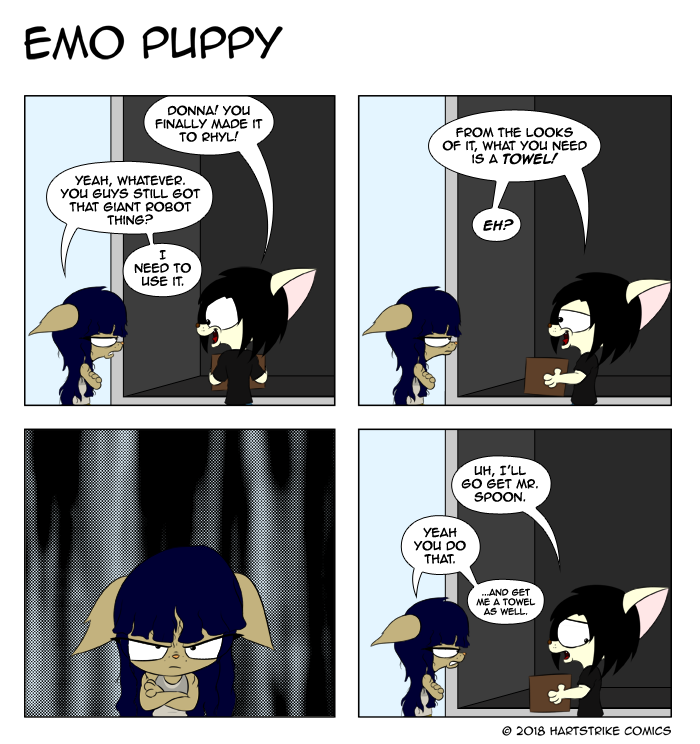 Welcome to Emo Puppy, the webcomic that's gone to the dogs! Enjoy a brand new strip every Thursday and follow the lives of Chester, Preston, Amy, Donna and Yelena as they make their way through life. Stay up to date with all the latest announcements by following Emo Puppy on Twitter or by liking Emo Puppy on Facebook. Want to know more about Emo Puppy? Click here.